So we have reached the end of our nutritional intervention and by and large the results have been rather positive. We have had 25+ guys successfully complete the 4 weeks with a high level of compliance. Here are some of the effects noted. So mission accomplished then. Everyone involved transformed themselves into sexier versions of their previous selves. The weight loss varied widely among the participants. This was to be expected as the old eating patterns were not controlled for, this is one of the reasons I use the term “experiment” very loosely. The weight loss ranged between 2kg and 8.6kg, that is a pretty decent amount of mass to shake of a frame. I considered getting some of the before and after pictures up as they are always cool visually. I decided not to in the end as a) its more work for me and screw that and b) they are incredibly easy to mess with. 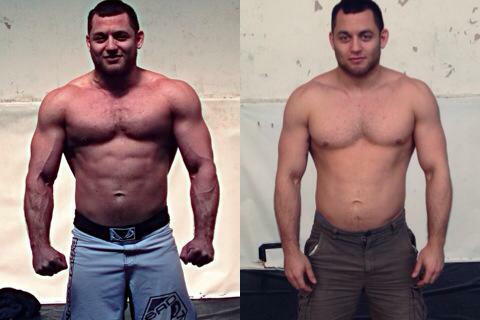 Check out this dramatic transformation from Jiu Jitsu practioner Daniel Strauss. Pretty impressive right? That transformation took all of 30minutes. By doing a quick workout and getting better lighting you can really make a difference to your physique. Their are tonnes of techniques like these that can get you instant results. In the same way that fighters at weigh in look incredibly diesel, the cover models on men’s workout magazines get mega dehydrated before a shoot. Before and after pictures have their place but I feel they should be a guide for yourself and maybe a few other people that you are close to get the accountability advantage. When you start sharing them on the interwebs its hard not to fix that posture, stick that arse out and not drink anything for 5days. I find honest anecdotal stuff like this way cooler. 2. Cooking Veggie food is mega cheap. Turns out that dropping meat from every meal is great for the wallet. With weekly shops coming in at £15-25 a lot of our participants were pleasantly surprised. Dietary information and advice can often be confusing, but one thing that nearly everyone in the nutrition industry agrees on is that eating a crap tonne of vegetables is a great idea. Having meals made almost entirely from plants is a good way to facilitate this. This is the classic I have stopped eating like a 12year old factor. Going from meals in a box to meals made from whole ingredients is a great way to avoid finding yourself unconscious at a desk around 3pm. The participants felt that they could tackle their workouts with more energy and get more from them as they were not starting in a fatigued state. 4. It was easy to follow. Cooking in batches and having meals planned in advance was one of the cornerstones of the plan and seemed to work really well. Our guinea pigs rarely had to ask the question “what should I eat now?”. If you ask this question while hungry chances are you will answer “ALL THE FREAKING CAKES!”. Having a fridge full of handy meals in Tupperware prevents this from becoming the diet ruining issue it might otherwise be. 5. The meals tasted great. This might be the most important factor in lifelong body composition control. If you do not enjoy your food you will eventually find something else more palatable, like a snickers or mcflurry. Track down healthy recipes that are easy to make and that you enjoy and make them staples you can keep coming back too. 6. The Egg Burrito thingy is amazing. There is no way round it. Whenever you completely change your food intake your body will tend to kick off a bit. 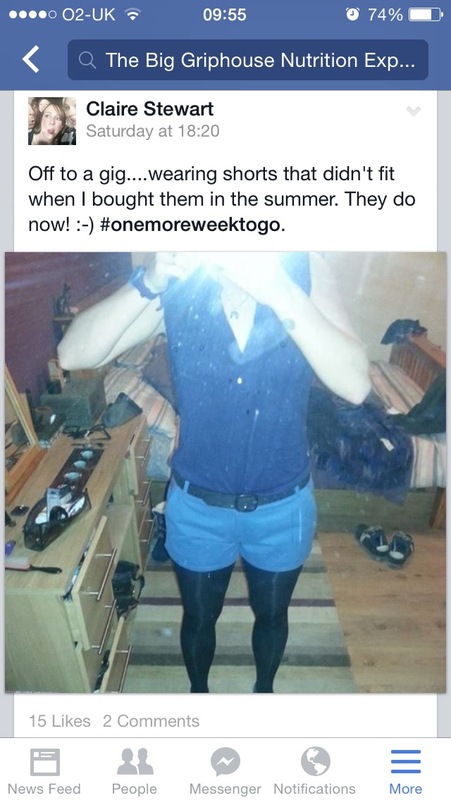 By kick off I mean you will be able to produce room emptying, tear inducing, this really should be weaponised farts. Thank fully this effect usually passes in a couple of days as you get used to the increased fiber content etc. 2. Peeing like a race horse. When your body is used to a certain level of hydration and you start drinking a lot of fluid, you will tend to pee for a long time and pretty often. Again this will settle down after a few days as you adjust to your new much more hydrated self. 3. It messed with Coggsies 9.30am poo. 4. Dishes and washing up. Turns out food prep requires more effort than a takeaway. Thanks to everyone who took part and stuck with it so strictly, I know a lot of people really benefited from the support via the Facebook group. In the next blog ill be discussing where to go from here and the purpose of these experiments/diets in general. The next experiment might be a put on as much muscle mass in 4 weeks as you can kinda deal. Any interest in that one? The Big Griphouse Nutrition Experiment: The Recipes. Surprise suckers, you thought this was about health and body composition. Wrong this is all about saving the animals, we are going PETA all up in here. If you take a quick look below you’ll notice that the recipes below are all veggie ones. The reasons for this is quite simple. I rarely eat meat anymore and the guys who tested this out for me are similarly inclined. Do not worry though we will be including some meat based meals but……. well I kinda left those recipes on my laptop and now I’m in Ireland and won’t get back to it till Sunday so uhm sorry. Feel free to throw some chicken or whatever into the meals below but honestly they don’t really need it. One thing all diets tend to agree on is this “eat a crap tonne of veg”. In general I eat that egg burrito (meal 1) every day as it’s amazing, for lunch it’s a soup (meal 2) based meal and for dinner it’s a stew, chilli kind of deal (meal 3). 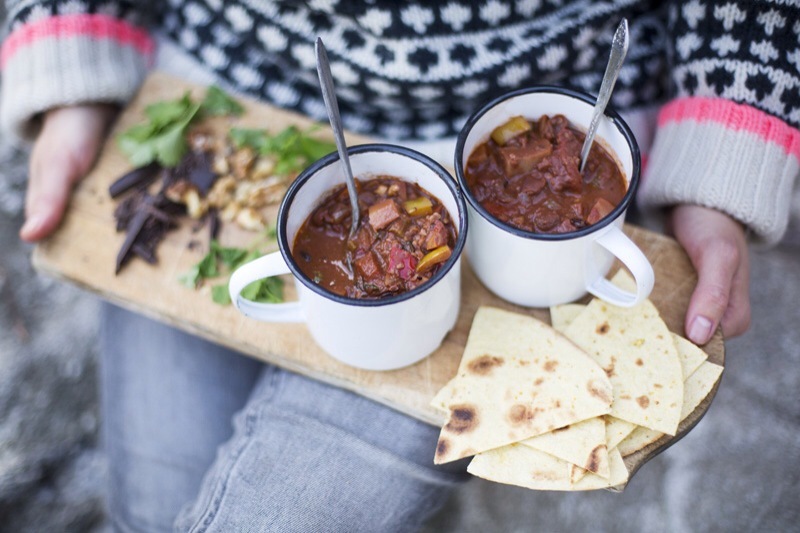 Soups and stews are ace as they are filling and don’t have a huge carbohydrate content. Combine that with an ingredient list rich in vegetables and healthy stuff and your onto a winner. They also stay pretty good in the fridge and don’t go weird by day 2 which is nice. Here ares some recipes that I have stolen from many wonderful places. Including Green Kitchen Stories, Jamie Oliver and big Hugh from River Cottage. Tomatoes, red onion, broccoli, jalapeños, chillis anything else you like the look off. Cook the vegetables add the eggs and scramble them. Bung them in a tortillaand roll it. 1xProtein shake and 1 apple used whenever you get hungry. The night before, put the oats, chia seeds and pumpkin seeds into a bowl or container, pour over the milk, and add the maple syrup, vanilla and lemon juice. Mix well, then cover and pop into the fridge overnight. In the morning, chop the peaches into little chunks, squeeze over a little more lemon and either layer them up with the oats and seeds in a glass or bowl, or just run out of the door with everything in a little container. Option 1.Pea and herb soup. Fry onion and potato in butter for a few minutes then add the stock. Simmer for 15mins. Blend the crap out of it. Add the yoghurt to individual portions after heading as and when you eat it. Some chopped basil and parsley if you could be arsed. Add the stock, the tomatoes, the green beans and the tomato purée and simmer it all for 15-20mims. Add the mixed beans, paprika and herbs and heat for about a minute. Season with salt and pepper and eat the crap out of it. Heat olive oil and add the onion, garlic and spices. Cook for 1min. Add the potato, carrot, apple and lentils. Stir about a bit before adding the stock. Throw the coriander and toasted pumpkin seeds on the top and eat it. Fire it all in a blender and drink it. Fresh coriander. Pull off the leaves and set to one side. Finely chop the stalks. 2 400g tins of beans. Any will do kidney,chickpea, cannellini, not baked. 2. Sprinkle the sweet potato with the olive oil (don’t go mental with this) add some of each of the spices and toss to coat everything. 3. Throw them on a tray and cook for 40mins until they are soft and golden. 4. Put a big pan with some olive oil on a medium heat and add the onion garlic and peppers. Cook for 5 minutes. 5. Add the coriander stalks, chillis and 1tsp each of cayenne pepper, cumin and cinnamon. Cook for another 10mins. 6. Chuck the drained beans in along with the tins of tomatoes, bring to the boil then cook on a medium heat for 25-30mins. 7. When they are ready add the sweet potato and stir fry with most of the coriander leaves, saving some as a garnish. Add the orzo and cook until the pasta is ready. Usually about 7-8mins but keep an eye on it. 2. Cook the onion for 10 mins until soft, then add the ginger, garlic, turmeric, cumin and curry powder. 3. Cook for 1 min more. 4. Stir in the tomatoes and sugar. 5. Add the cauliflower, potatoes and split chilli, seasoning to taste. 6. Cover with a lid and gently cook for a good 30 mins, stirring occasionally, until the vegetables are cooked. 7. When the vegetables are cooked, remove the chilli, if you like, stir in a squeeze of lemon juice and scatter with coriander. Preheat your oven to 220°C/fan 200°C/gas 7. Pour 150ml of boiling water over the coconut and leave to soak. Put your sweet potatoes on a roasting tray and add a good pinch of salt and pepper, the cumin and fennel seeds and a drizzle of olive oil. Roast in the oven for 20–25 minutes, until soft and sweet in the middle and crispy brown on the outside. In a large saucepan, sizzle the garlic, ginger, chilli and red onion in a little oil for about 10 minutes, until soft and sweet. Grind the cumin and coriander seeds in a pestle and mortar, then add to the pan with the other spices and cook for a couple of minutes to toast and release the oils. Add the lentils, coconut milk and stock to the pan and bring to a simmer, then turn the heat down and bubble away for 25–30 minutes. While that is cooking make your chutney. Drain the coconut and put it into a bowl. Fry the mustard seeds and curry leaves in a little oil until they begin to crackle, then pour the mixture over the coconut. Season with salt and pepper, then stir in the ginger and chilli and give it a good mix. To finish your dhal, take it off the heat, then stir in the spinach and allow it to wilt a little, stirring in half the chopped coriander and the lemon juice too. Pile into bowls and top with the crispy sweet potatoes, spoonfuls of the coconut chutney and the remaining coriander. I serve this with charred chapattis or roti, and if you are really hungry you can have some fluffed brown basmati rice too. First get out your biggest pot and place it on a medium heat. Add a splash of olive or rapeseed oil and cook the onion, garlic, ginger and chilli for 10 minutes, until soft and sweet. Now add the chilli powder and cumin seeds and stir around in the pan for a minute or two. Then add all the other chilli ingredients, stirring and mixing as you go – add 1 litre of the stock to start with, and keep the rest on hand to add as needed if the chilli starts to look a bit dry. Bring to a gentle boil, then turn the heat down to low and leave to simmer and blip away for 30–35 minutes, until the lentils are cooked and the chilli is deep and flavoursome. Make a thyme oil by mixing the olive oil, chopped chillies and thyme with a sprinkling of salt and pepper. Taste your chilli and add a little more salt and pepper if you like. Serve in bowls, topped with a little yoghurt, a drizzle of thyme oil and some warmed corn tortillas for scooping. At the Griphouse we have a large number of wonderful people who are all interested in health, fitness and the ancient arts of arse kickery. The nutritional side of things is something we haven’t really tackled as a gym. Sure guys have been passing around knowledge and supporting each other but we have never had a large scale Griphouse approved eating plan. That’s what this experiment is all about. A big pile of us doing a nutritional intervention and seeing what happens. We are interested in fat loss over weight loss though so don’t worry about having to sit in salt baths and saunas for ages. All you need to do is follow the program for a long as you like and reap the rewards. We tend to run into trouble with this question “what do I want to eat?”. By the time we ask it we are usually pretty hungry and cake seems to be the answer. By planning your meals and preparing them in advance this problem is dealt with. On Sunday decide what you will eat and make a big pile of it. Enough to do the entire week or half of the week as I tend to do. Refrigerate or freeze it to keep it from going weird. Tupperware is your friend here. If you have your meals prepared any poor food choices are on you. You do not need variety. Yes it will be boring and by Friday you will hate the taste of it but it’s an easy path to improved body composition. This will involve mostly low carb fare such as soups, stews that sort of thing. More details tomorrow. This isn’t because I think green tea has any mystical properties. It’s mainly down to ensuring hydration is maintained and well …..I like green tea. If you are caffeine sensitive any other herbal tea is fine. When we are dehydrated we get hungry and eat stuff as the body can get a lot of hydration from solid food sources. It is often difficult to distinguish hunger and thirst. All of your systems tend to run sub optimally when in a dehydrated state. The act of making tea also seems to distract from thoughts of food. That might just be me though. 4. An apple of your choice as snacks whenever you want something crappy. Again these should be with you wherever you go in case you start getting hungry. Apples are nutrient dense and have a sweetness that exceeds their calorie content. Pretty decent if you have a haribo problem. So if after eating 3 meals, 5 cups of tea, a protein shake and 2 apples you still want doughnuts….well that’s pretty impressive actually. 5. Replace two meals each week with whatever you like. Two meals a week eat something you want. It can be burgers, pizza , doughnuts whatever. Try not to go absolutely mental and stop when you’ve had enough. Plan it in advance and enjoy it. And that is pretty much the program. Gordon Smith may have recently moved to Newcastle but he is a true Griphouse OG. He started Muay Thai with Guy before there even was a Griphouse. You all probably know him. He’s the guy that popularised the”scream your lungs out while throwing a jab” trend that is now thoroughly entrenched among our Muay Thai athletes. He’s a noteworthy chap in that not only has he lost tonnes of weight he has also went on to fight all over the world, hold many titles and in general be a Muay Thai badass. He also found his wife here which is very cool. Here is him in his own words and 3 different systems of weight measurement. What made you first set foot in the Grip? Guy came into Caley one day and said, ‘We’re getting a gym in Maryhill’. I had been trying to get my weight down (I had reached the ‘heights’ of 110kg, or 17 and a bit stone in old money) for a while at Strathclyde University using the treadmill, exercise bike and weights, etc., but had gotten pretty bored by it all. A friend saw the flyer for Guy’s classes and wanted somebody to go with him. I decided to give it a go and was hooked from there. A few months later, my friend stopped going but by then I had started to try to find as many of Guy’s classes to go to as possible. What effect has training at the Grip had on you? Well I’m married and no longer classed as ‘Obese’ or ‘At Risk’ by doctors. It’s literally changed my life, not to get all clichéd and teary-eyed, but I’ve made some amazing friends, including my wife, I’ve managed to fight on three continents (including a fight at Lumpinee Stadium in Bangkok) and was Scottish Champion for four years and Top 10 ranked fighter in the British rankings, all whilst losing almost 100lbs, quitting smoking and changing my diet/lifestyle in general for the better. In short, it’s turned my life around for the better. Is there anyone in particular that has helped you out a lot? There have been plenty of folk over the years, the main ones being Guy and Big Mike in the early days for not just seeing a vastly overweight, heavy drinking and smoking waster. My main training partner when I first started fighting was Mike Strachan and I have to say that his outlook shaped the way I trained and fought a lot in the early years. Guy has been a constant and positive influence to me for more than 13 years running the gambit from friend to surrogate big brother to coach to training partner. 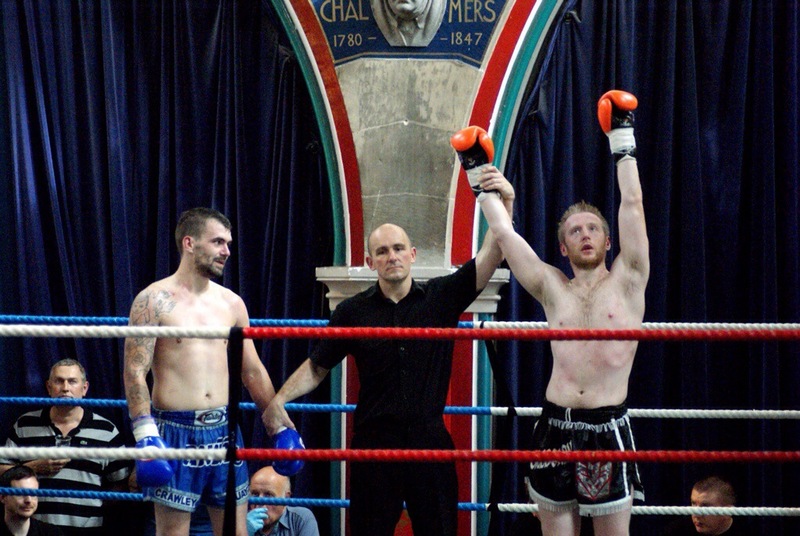 In the last few years there have been quite a few people who have shaped me as a fighter and in the way I train (in no particular order, and apologies for any unintentional omissions) T, Brian Calder, Keith McLachlan, Brian Totty (Jr and Sr! ), Top Gun, Paul McVeigh (a.k.a. The Dark Lord of S&C), Adrian, the list goes on…..
What is it like being at the gym and would you recommend it? Like being in a sweaty sauna that smells of protein farts most of the time. Yes, I would recommend it, but only if you like being sore and successful. I would definitely recommend it as it’s by far the best place to be if you are looking to progress in Thai/MMA but also if you want a great place to train that doesn’t patronise you, judge you for not being ‘perfect’ or not fitting in like some gyms do. The only pre-requisites are self-motivation and determination. Training at the Griphouse is very hard, but so much more satisfying and rewarding for it. Whenever there are a group of fighters all training for top level fights at the same time, there is no better place to be. You turn up everyday not knowing what’s going to happen but know that it’ll involve hard work with some of the best fighters in the UK and that you’ll be leaving sore and tired. Unfortunately Since becoming a pro level athlete has destroyed every trace of his former fatter self. Seriously I even checked Bebo. So we can’t get the before and after stuff people find so popular. All off the Grip guys are sad to see Gordy go and hope he has success and a lot of fun in his new endeavours. Superior Hip Mobility: A how to guide. When people learn that you do martial arts they immediately assume you have the ability to kick hapless attackers in the neck while wearing skinny jeans. For many of us that isn’t the case and we require a nearby radiator to lean against in order to throw any kick above waist height. We are used to Thai guys displaying pretty impressive hip mobility but all combat sports athletes can benefit from loosening off creaky hips. Jits guys will have harder guards to pass , wrestlers will be tougher to takedown and boxers will hit harder. In general you will move better and be able to do more stuff. As well as messing with your ability to preform certain techniques stiff or short hip musculature can lead to whole host of problems for your lower back and knees. If your hips are locked up your body will find that movement somewhere else, usually by increasing the movement at the knee and lower back. These are two joints where we really don’t want to be that bendy. This is also one of the reasons why the frequency of lower back and knee pain is much higher than hip problems. So if your hips are creaky, you can’t move well and your more likely to get a debilitating injury. But that’s not all. You are also going to be weaker than you might otherwise be. With short hip flexors you will have trouble using one of your most powerful muscle groups, your glutes or as they are known at the Griphouse “yer erse”. Tight hips equals inhibited glutes. This limits your ability to generate power as well as increasing the risk of strains in the hamstrings and lower back as they pick up the hip extension slack. Less session ruining niggly pains. All good stuff unfortunately the conventional wisdom of spending a few minutes stretching is not likely to lead to lasting change, particularly as you get older. Getting kicked in the legs or squishing someone in half guard can leave you with some funky adhesions and trigger points in your leg and hip musculature. Stretching while your legs are riddled with these nasties offers a very temporary solution. You will feel like a ninja for a little while but your hips will rapidly go back to their more jacked up state. Bash those trigger points with a foam roller, concentrating on the front, outside and inside of both legs, before moving onto jamming a lacrosse ball into your glutes. This is all pretty standard stuff that you will see happening daily at the Griphouse so if your unsure ask someone how it works. Go mega slow. Doing 1-2 passes of the leg is enough so long as you are going slow enough to address all the horrible bits. When you do find something that makes you want to hate life, hang out on it and if possible flex the knee joint. It will soon go from disgusting > nasty > unpleasant > wonderfully fine. One of the major problems in finding a solution to the tight hip problem is that the traditional approaches do not deal with the joint capsule. The joint capsule is a bag of fibrous tissue that completely surrounds a joint. It provides stability both actively and passively ensuring the joint is strong and moving optimally. When the joint capsule is damaged there is often an increase in joint laxity and the risk of dislocation. So we should all be pretty happy we have them. Unfortunately when we adopt certain positions for too long the joint capsule itself can adaptively shorten. This messes with the joint range of motion and contributes to the problems outlined above. One of the easiest ways to effect change in the joint capsule is with banded stretches. The band drives movement through the joint capsule as the stretch takes place. The band pulls the head of the femur into a more optimal position. To account for all movements we must address the hip capsule anteriorly, posteriorly and laterally. 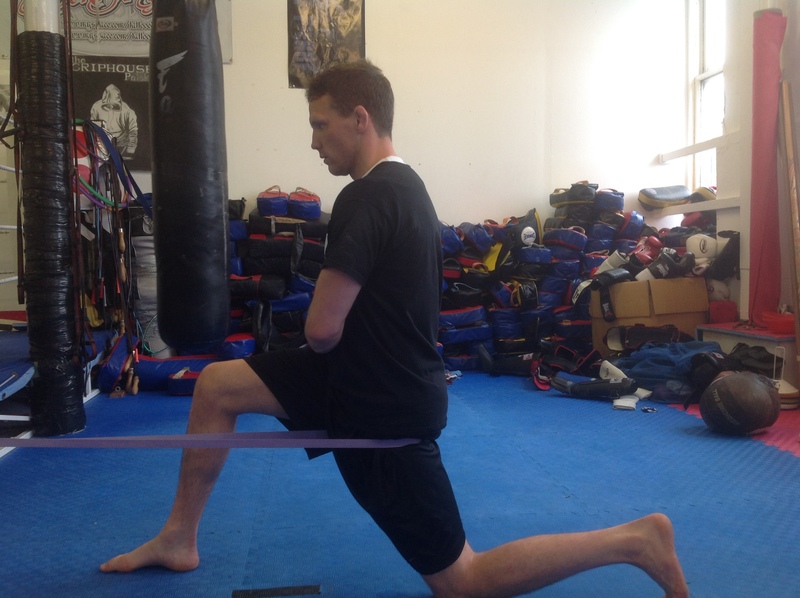 The band pulls the hip capsule forward as the hip flexor stretch is performed. Note the band is in line with the hip. Keep your arse and stomach tight through out and avoid excessively arching your lower back. The band pulls the hip back wards while the stretch is performed. Note the lowered attachment point of the hip. If this kill your knee bring the heel closer. try to keep your chest up and move around going towards the knee and then the foot searching for the tight bits. Don’t let you lower back arch. keep your chest up and sink back. You are trying to get the biggest stretch with the least amount of movement. The band pulls the hip capsule to the side as the stretch is performed. The band is set up at hip height to the side and slightly behind the hip. Hang out in each of these positions for 2mins. That may seem like ages but you will be doing stuff the entire time. This is not a passive stretch you will be actively moving in and out of the end range and utilising the contract and relax method. Imagine the anterior joint capsule stretch above. You will actively try to pull your knee through the ground towards your other heel for 10seconds then relax and try to sink into a new increased range. If you need any help with the “how to’s” of all this give me a shout at the gym. If enough people are interested ill do a quick 20min freebie seminar sometime. Do this routine everyday for 6days and see if you notice a change in your hip mobility. This 6day rule is a great way to assess whether or not a mobility or soft tissue intervention is having an effect, although with this program you will probably notice the difference straight away. Try squatting immediately after completing the routine. You should notice a big change in mobility. After 6 days switch to doing the program on alternate days for another week. Then move to utilising as and when you feel it is necessary. You will miss that new found hip mobility when it’s gone. Fat Loss: What we can learn from fighters? The quest for long term fat loss is a giant industry worth billions of pounds word-wide. People will happily spend hundreds on any person or product that will help them shed unwanted fat. At the Griphouse almost every week one of our athletes is attempting to drop weight for an upcoming competition. Our guys regularly drop 3-10kgs in water and fat mass in the lead up to a scheduled bout. What makes these guys so good at getting to incredibly low body fat percentages? 1.They are doing something they love. This is pretty much the biggest secret. However you are trying to shed fat mass tie it to an activity you find fun and challenging. If you have to drag yourself to training and hate your time there, why bother? Ultimately our fighters train because they enjoy it. It’s the only good reason to do anything anyway. If you enjoy it you will be consistent and consistency is the key to improvement. When you focus on continual improvement,body composition change happens as a byproduct. Love what you do and focus on getting better everyday, this will ensure you will be training for a long time and less likely to pile on pounds. Getting in shape and staying that way your entire life is not about a 6week plan. It’s a life long commitment to activity and sensible eating choices. Tip: whether it’s Jiu jitsu, MMA , Muay Thai or Wrestling give it some time and make sure you enjoy it. If not move on to something else and see what fits for you. Then throw yourself into it, become a fan of the sport and everything associated with it. 2. They have built a positive supporting community. Being surrounded by in shape people sets the bench mark high. Societal norms push us to be like everyone else so if everyone you know looks like Huge Jackedman you tend to watch what you eat. The Griphouse is a great source of information for those looking to improve how they look in the nip. The shear amount of Tupperware flying around with delicious stuff inside is staggering. People are always ready to share healthy recipes, nutrition advice and cool tips for everyone’s mutual benefit. If you do not enjoy eating clean then staying in shape is going to be a challenge. Did you know that hazelnut milk mixed with chocolate protein tastes like Nutella? Thanks to Griphouse fighter Keith Maclachlan for that one. The community vibe also permeates to the classes themselves. Did you do those million burpess followed by 1000 double kicks to lose weight or did you do them because everyone else did? Having people around you who are pushing themselves is invaluable in making the most of your work outs. Tip: get involved, be there regularly, help out where you can, ask questions and become a true member and resource for those at your gym. A fighter has a date and a time whereby the must be a specific weight. If they miss that weight they will face some hard questions from their team mates. Missing weight at the Griphouse is like drop kicking a baby, it’s very not cool. With a set time frame, positive motivation and the threat of violence if you don’t meet your goals, good things happen. Tip: Tell people what you are doing and set a time frame. “I will do this diet for 4 weeks, if you see me with a doughnut, kick me in the leg” you can usually find a good few volunteers to oblige you. I have highlighted a few points that I think help our fighters achieve some really impressive results. But it’s not just the fighters. Our non competitive athletes regularly achieve results as impressive if not more so than the guys competing. More than once a members transformation has tricked me into thinking they were two different people. Ross Jack was one such guy. I have worked in more traditional fitness venues and the level of success achieved is nowhere near the level that I see on a daily basis amongst our non competing members. I believe that the success is due to factors listed above, an activity you love and a supportive community. Non competitive athletes don’t tend to get photographed taps aff at a specific date so the accountability is diminished somewhat. However by letting people know what you are attempting and setting deadlines accountability is brought back into play. I am currently guinea pigging a nutrition intervention thingy that will be unveiled on this blog as the BIg Griphouse Nutrition Experiment. This will be free to everyone and will be ready to launch in a few weeks. All I ask is you let us know how you get on. If your interested in taking part drop a message in the comments section. Here is our next installment in the Griphouse People series. With this blog series we are celebrating some of our members who have achieved really cool things outwith attacking people in cages and rings around the world. We strongly believe that everyone’s reasons for training have equal validity. Our goal is to improve our people through martial arts . Just over three years ago I was encouraged to try a session of Muay Thai at the Griphouse gym by my Daughter Jo and her partner Grant. At the time I was an overweight couch potato, with a waistline of 36”, not too healthy for a male who is only 5’ 7” tall. My idea of a good evening after a hard day at work was lying on the couch watching television. I had my week set out and it didn’t involve too much exercise. Friday night was the time to head to the pub for a few beers and then go home and relax for the rest of the weekend. This seems quite a common life style for a 55 year old male in Glasgow. I attended the first session and I found it really hard, but I was encouraged to give it everything I could by my daughter and the coach “Guy Ramsay”. Needless to say I had a few aches and pains for a few days after that first session but I did enjoy it. How do I know that I enjoyed the training? I am now 58 years old and still attend the Griphouse Muay Thai classes. I am now a 30/31 waist. I weigh a little more as the fat has now been replaced with some muscle. This has helped my own perception of my body image and increased my confidence. I work as a secondary school teacher which at times is very stressful. If I feel tired and stressed a session at the Griphouse takes it all away. I go into work the next day feeling invigorated and without a care in the world. 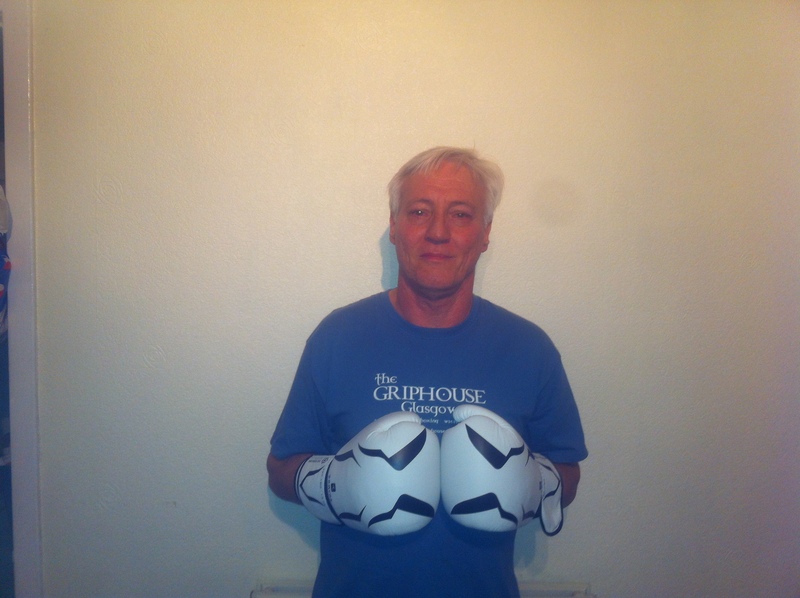 My overall Health & well being has increased considerably since I started training at the Griphouse. This has all been possible due to the family atmosphere at the Griphouse, everyone is made to feel welcome. I have made many new friends who I look forward to seeing and training with. I now attend the Griphouse on my own as my daughter now lives abroad but this is never a problem, you always find a partner to train with. It could be a joiner, a shopkeeper or a lawyer. We are all there for the same reason and that is to improve our fitness, so everyone fits in. The two main coaches that I have worked with over the years have been Tommy Young and Kenny(Kent) Ho. Both are excellent coaches who have a love of their sport , really enjoy coaching and passing on their experiences. They have different methods but the same goals, which keeps it interesting, it’s never boring. There is always something new to learn. I have also been fortunate to attend sessions with Guy Ramsay, Sean Wright, Lyn Minn-Din, Mani Singh and Hillary Mack who are all excellent coaches. Personally I really enjoy training at the Griphouse and would recommend it to anyone. The family atmosphere where all are welcome makes it stand out on its own, it is second to none. Don’t let silly things like age, lack of fitness, being overweight or your own self esteem stop you from giving it a try. You are never pressured to do any more than you are capable of at the Griphouse. The experienced coaches have your health & well being as their primary concern and will look after you. Always remember that any exercise is better than no exercise. I would recommend that you attend a session at the Griphouse and give it a try you will be pleasantly surprised at how well you feel after the class.